OPC Server Software & Gateways – Takebishi Europe B.V.
As a member of the OPC Foundation, Takebishi OPC Server software & Gateways feature the latest trends in industrial automation markets and support more than 150 types of PLCs from all leading brands. Our portfolio is further complemented with products used for Industry 4.0 as well as IoT Cloud solutions, supporting various communication protocols such as OPC UA and MQTT. Takebishi also offers support with our own technical helpdesk and software support program. Takebishi OPC UA products are tested and qualified by Mitsubishi Electric Europe and part of Mitsubishi’s e-Factory program. 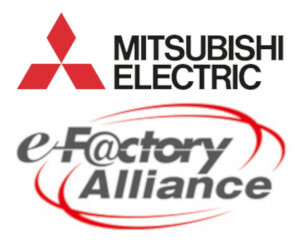 Information about the Mitsubishi e-Factory program and Takebishi OPC UA products can be found here. DeviceXPlorer is Takebishi’s own communication middleware based on OPC Data Access. DeviceXPlorer is optimized for use with SCADA or ERP/MES systems such as SAP/R3, allowing further system standardization. DeviceXPlorer is made for use with MS Windows and supplies industrial connectivity with controllers running in manufacturing industry systems like PLCs, as well as robots via communications like Ethernet and Serial. The software is compatible with more than 150 brands of PLCs. 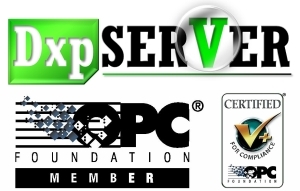 DxpLOGGER is Takebishi’s OPC compatible data logging software package. DxpLOGGER supports data logging, Historical/Real time Alarm, Graph, data view and more. DxpLOGGER allows logging data to be saved to both CSV files and various database types. DeviceGateway is a compact unit for gathering production information and acts as a gateway from the factory to IoT services platforms. You can use 150 connectivities by web browser easy configuration. DeviceGateway supports OPC UA, MQTT and many more IoT protocols, and allows you to build an IoT system in a very short time frame.